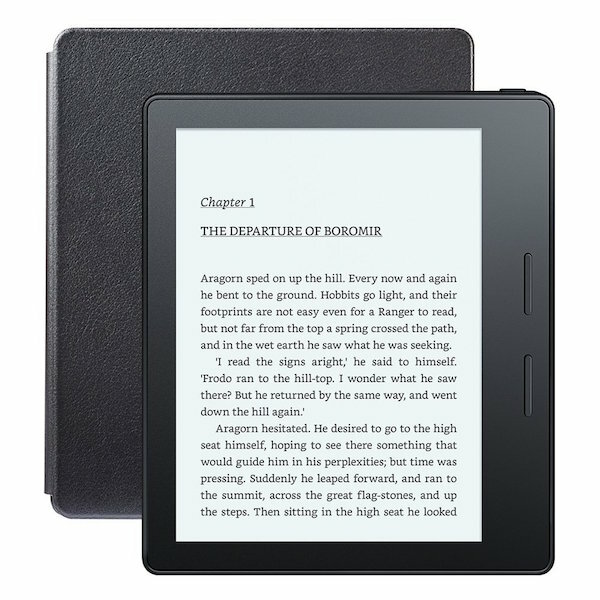 If you happen to be in the market for a high-end e-reader to satisfy your habit of consuming digital books, then you may be in luck. As has been widely expected for a while now, Amazon has today officially announced its eight-generation Kindle, and as we already know thanks to an early sneak peek, the company is calling it the “Kindle Oasis”. Long-time Kindle users out there may have to adjust to the aesthetic of the Oasis, but when they do, it’s likely that this will go down as one of the most loved e-readers to date for those who can stomach the associated price-tag. It probably won’t become known just how important weight is until you actually hold the new device in your hands, but this latest Kindle upgrade is Amazon’s lightest offering yet. Each model of the new hardware weighs in at 133 grams or below, with the Wi-Fi only model coming in at just 131 grams. Of course, if you purchase one of the new Kindle Oasis covers, then you can expect to add an additional 107 grams of bulk to that total. 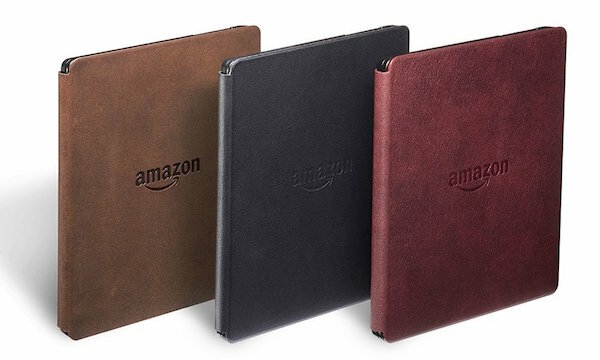 Amazon has also taken the opportunity to furnish the new Kindle Oasis with a 6-inch display offering a resolution of 300 pixels-per-inch and the company’s Paperwhite display technology for easier reading and visual consumption of text. In addition to the importance of the display, consumers purchasing the e-reader will also be extremely interested in how long the hardware will last between charges? The Oasis should definitely not disappoint in this area with Amazon claiming that the latest Kindle will last up to eight weeks on a single charge based on a half hour of reading per day. Of course, how long the battery lasts in reality for individual users will depend entirely on how much they interact with the device and which features and radios are turned on or off. A fully charged battery can be achieved within 3 hours. Other technical specs that may be of benefit to know for potential consumers include an internal storage of 4GB, which Amazon promises will be enough to store “thousands of books”. There’s also support for three Wi-Fi standards, 802.11b, 802.11g, and 802.11n, as well as a version of the hardware that offers 3G connectivity, which of course will be paid for by Amazon’s vast resources and infrastructure. If you’ve been waiting patiently to part with your cash in return for Amazon’s new and improved Kindle, then you can do so right now by handing over $290 for a Wi-Fi only version of the hardware, or $360 for the variant that comes with access to Amazon’s free 3G service. 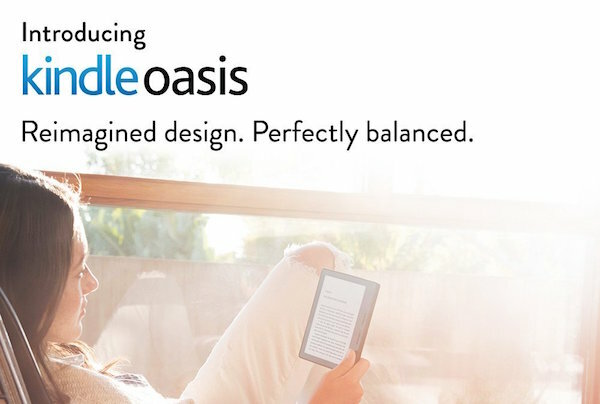 Kindle Oasis will start shipping April 27.
::googling Android tablets and iPad minis prices:: yep not going to buy an oasis. For that price I would definitely rather get a Nexus tablet. said it before and will say it again….it looks hideous and then you throw that price ontop…..I’m out!